Parasitic fungi cost the agriculture industry vast amounts of money every year. 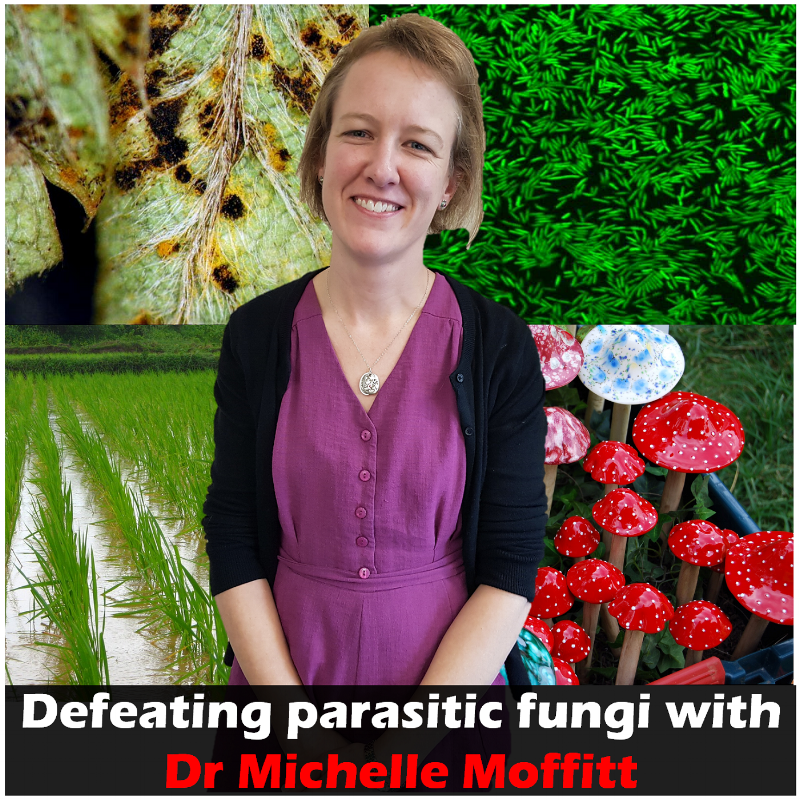 Michelle is looking to fight fire with fire by using other fungi strains to defeat these parasitic fungi. In this episode, she talks to us about her journey in microbiology and mycology, the uniqueness of fungi, and more. Dr Greg Cohen is a researcher at the MARCS institute developing Bio-inspired cameras. These cameras mimic how the human eye works by only detecting changes rather than taking a picture of the whole field of view. In this episode, Greg talks to us about the utility of his camera in astronomy, detecting space junk, medical science, etc. We also talk about evolution algorithms, AI, his ping pong robot, and more. Dr Elaina Hyde is an astronomer/astrophysicist by training and a data scientist by trade. She is also a Google Cloud engineering software instructor and works as a consultant at Servian. 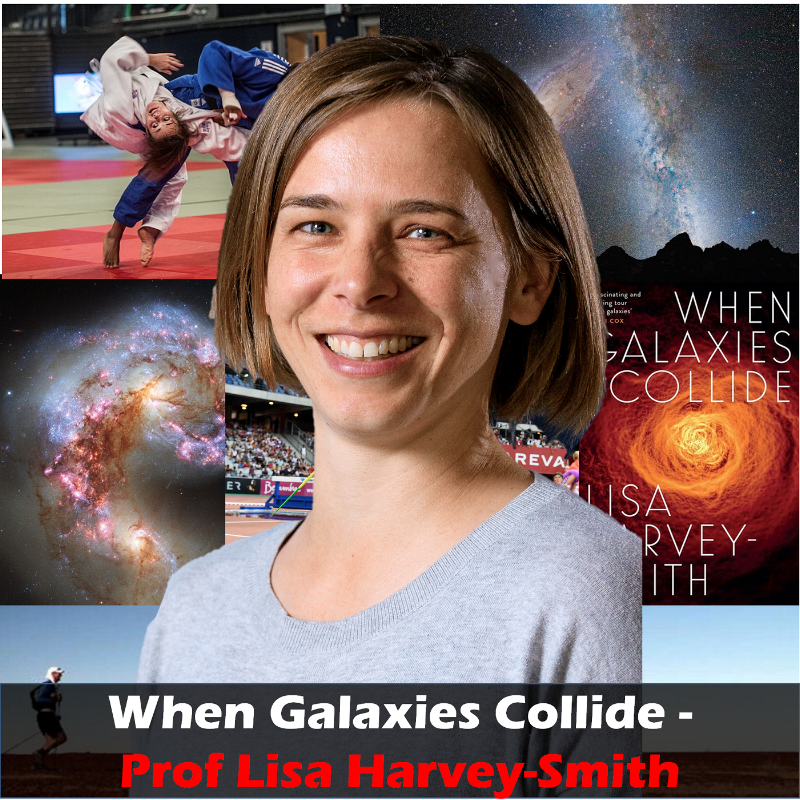 In this episode she tells us her journey into astronomy/astrophysics, and how her training led her to a consultancy job in data management. We also learn some cool things about black holes and lives of galaxies, things that science students should consider for the career, and more. Dr Kieran Scott works at the Ingham Institute developing a cancer drug that targets inflammation as a means of treating prostate cancer. Kieran's currently at the clinical trial stage, testing his compound 'C2' on 12 participants. We talked to Kieran about the process of drug development for Prostate cancer, the luck involved in scientific research, as well as the often ill-considered aspects of conducting research. Note: During the discussion of the Shine Dalgarna sequence in this conversation, Dr Scott mistakenly referred to ribosomes binding to DNA when he intended to say RNA. To clarify the error, the mechanism by which the Shine Dalgarno sequence serves to direct protein translation in bacteria is that the sequence, encoded in DNA prior to the translation start site of a gene is transcribed into mRNA. The ribosome recognises this site and so can initiate translation of the mRNA. James had an unconventional journey into Bioinformatics. He dropped out of university twice but managed to use his programming skills, that he had developed through his own initiative, in conjunction with his determination to eventually end up at the Garvan Institute as a Genomic Systems Analyst. In this episode we talked about Bioinformatics, what type of questions programmers can answer compared to pure biologist, the cutting edge technologies being developed at the Garvan, the education system, his world record, and more. Dr Rose Chesworth is a neuroscientist studying gene-environment interactions in the context of Schizophrenia and drug addiction. In this episode we talk about how drug addiction works and her research in mitigating it, her research into Schizophrenia, why rock stars overdose in hotels and more. Alexie is Bioinformatician at the Hawkesbury Institute for the Environment working one ecological and economical important species. In this episode, we spoke about how species become what they become. This was an interesting conversation dealing with science, sociology and politics. Jon Finch is the 3MT winner at WSU. He's a PhD candidate who loves and researches insects. In this episode we discuss where this fascination came from, the importance of insects, his early research where he had to catch seabirds committing"adultery", and more. Dr Kate McBride is a epidemiologist who has dedicated her life to improving public health through prevention and reduction of chronic diseases. In this episode we talk about her journey from anthropology into epidemiology, her research interests, the importance of giving back to society, and more. Gareth was initially fascinated by physics and maths. He later discovered his passion for music and consequently applied his maths and physics skills to do a PhD involving music and psychology. In this episode, we talked about the origins of western chromatic musical scale, the Pythagoras cult, what singers manipulate to have a beautiful voice, and much more. Have you ever wondered how plastics are made? What type of chemistry is involved? Dr Patrice Castignolles talks to us about polymer production and characterisation as well as the value of education in uniting the globe. James Lee is a PhD Candidate researching in the field of food science. He talks to us about how he discovered his love for food science, and what food scientist do. James is a really funny guy, the first 30 sec of this episode should make that clear. For his retirement, Tom planned to travel the world and enjoy his life. But as he learnt more and more about climate change, he soon realised that if he didn't do something about it he would most likely leave a world that may be inhabitable for his children and grand children. Now, he speaks to politicians to lobby and educate them on climate change and what actions can be taken to mitigatethe consequences. Dr Oliver Morton is a senior lecturer at WSU, and studies Fungi. In this episode we talk about his journey into microbiology, how fungi help plants grow, mind controlling parasites, and much more. Prof Tom Millar is a biochemist with a particular interest in the eye. In this episode, Tom talks to us about his research into the tear film, the device he built to detect issues with the tear film, the need for PhD candidates to develop skills beyond science and much more. Dr Ain De Horta was involved in SETI (Search for Extra-Terrestrial Intelligence). He has also researched supernovas and the stardust they leave behind. In this episode I got to geek out on some cool physics concepts like how stars live and die, why we know the universe is expanding, and much more.